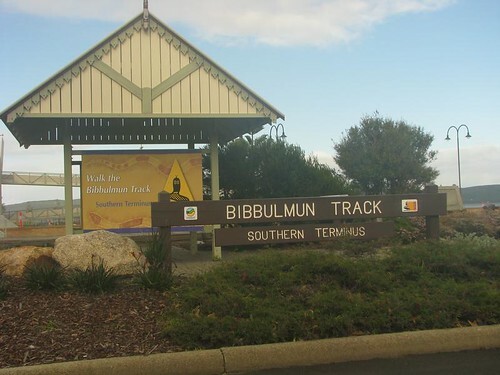 – Bibbulmun Track: a 963 kilometre walking trail from Kalamunda to Albany. – Rottnest Island: located off the coast of Fremantle, this 11 kilometre long and 4.5 kilometre wide island is a popular tourist destination for its diving, snorkelling and beach activities. – Sydney Harbour Bridge: Bridge connecting the Sydney CBD to the North Shore. The Sydney Harbour Bridge climb is popular for providing magnificent views of Sydney. – Sydney Opera House: Performing arts centre in Bennelong Point, Sydney Harbour. It is known for its unique design and varied performances. – Bondi Beach: Arguably Australia’s most popular beach, most famously featured in the television show Bondi Rescue. At 1 kilometre long, the beach is known for its conditions. The Bondi area has a bustling culture and a variety of cafes and restaurants. – Hunter Valley: located near Newcastle, this wine-growing region is popular for travellers interested in a scenic get-away. – Blue Mountains: Mountains area to the west of Sydney. Includes several national parks and tourist attractions such as the Jenolan Caves, the Zig Zag Railway and the Katoomba Scenic Railway. – Uluru: Large rock formation steeped in Indigenous Australian history. A World Heritage listed site. – Kakadu National Park: area southeast of Darwin known for its diverse flora and fauna, as well as its scenic beauty. – Mount Willington: at 4000feet above Hobart’s harbour, this mountain provides a stunning view of Hobart and the surrounding areas. – Port Arthur: Housing more than 12,500 convicts from 1830 to 1877, this is Australia’s most preserved convict site. – Whitsunday Islands: a collection of islands 900km north of Brisbane. Its sheer natural beauty has meant that it’s a popular tourist destination. – Great Barrier Reef: the world’s largest reef system. It is praised for its ecological diversity, and is popular for fishing, snorkelling and scuba diving. – Theme parks: Such as Dreamland, Wet ’n’ Wild, Movie World, White Water World and Sea World. – Cavill Avenue: Surfers Paradise’s main street. It has a vibrant atmosphere and is well known for its shopping and entertainment. – Adelaide Zoo: Houses over 1800 native and exotic animals. It is also home to the only two giant pandas in the southern hemisphere. – Barossa Valley: 60km northeast of Adelaide, this region is famous for its wine. – Parliament House: the central meeting point for Australia’s federal politicians. Tours of Parliament house feature the history of politics in Australia. – Australian War Memorial: Displaying the history of Australia’s armed forces and their endeavours. – Questacon (the National Science and Technology Centre): Features interactive displays promoting learning about science and technology. – National Gallery of Australia: Australia’s largest public art gallery. – Great Ocean Road: regarded as one of the most scenic drives in the world, encompassing the natural coastal beauty and unique rock formations such as the Twelve Apostles. There are a variety of Great Ocean Road tours to choose from. – Federation Square: cultural area and public arena in Melbourne. Includes cafes, restaurants, art displays and large screen that broadcasts events such as the AFL grand final and FIFA World Cup to the public. This is a key landmark in all Melbourne tours. 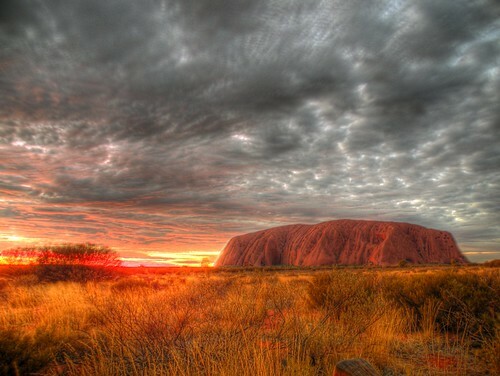 In order to truly experience Australia and each of its states and territories, be sure to see these landmarks!